Yeni might come by way of Istanbul, but if you've ever taken a trip to Turkey's largest city, you'll realise it's got more in common with the new breed of modern Turkish restaurants in its five-star hotels than its streetside kebab parlours. 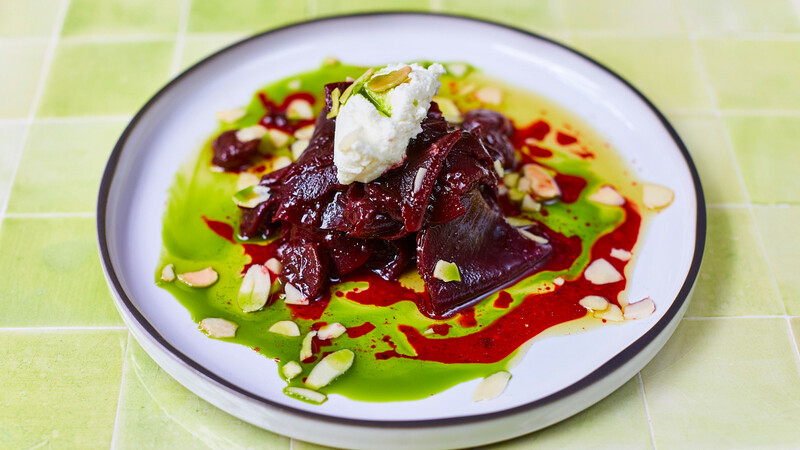 Cem Bilge and Civan Er's first London outpost joins the likes of Selin Kiazim (of Kyseri and Oklava fame, no less) and Islington's Black Axe Mangal to bring contemporary Anatolian cuisine to London's hungry masses. 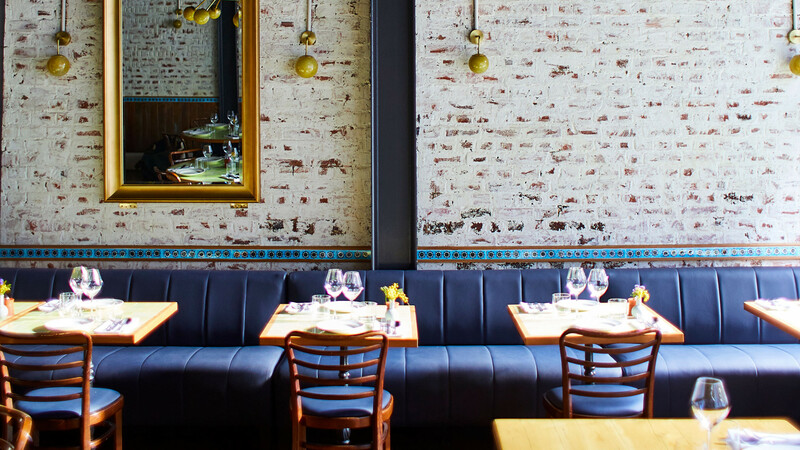 With swathes of cobalt blue, rough brick iced in cream and gleaming brassy finishes, the restaurant brings a different, brighter vibe to the old Vinoteca site on Beak Street. It's Trendy with a capital 'T' and don't you forget it. This is a wining and dining affair, which is just peachy because Yeni boasts an extensive list of great grapes. You won't find an enormous amount of Turkish wine across London, so do as we did and intro your tastebuds to a whole new terroir with a bottle of the 2014 Kalecik Karasi from Aegean producer Prodom. With its silky mouthfeel and notes of baked apple and sweet summer strawberries, you'll have a light table wine on your hands, ready and able to confidently steer you through Yeni's offering. 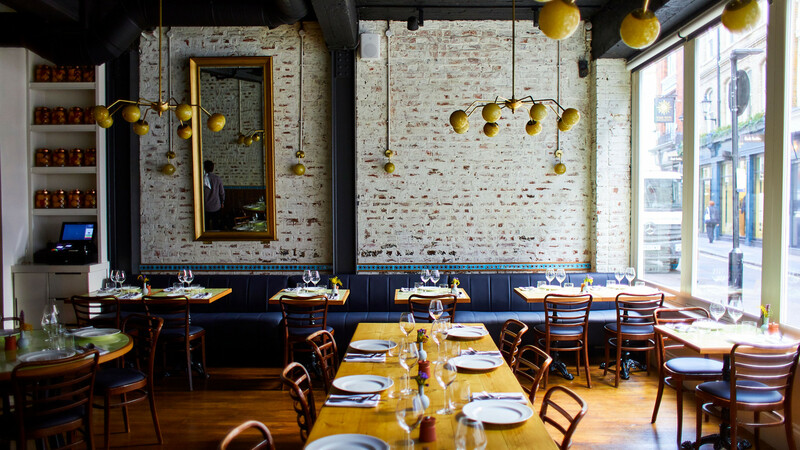 Yeni has proven to be a little divisive in the upper eons of restaurant criticism and with good reason. 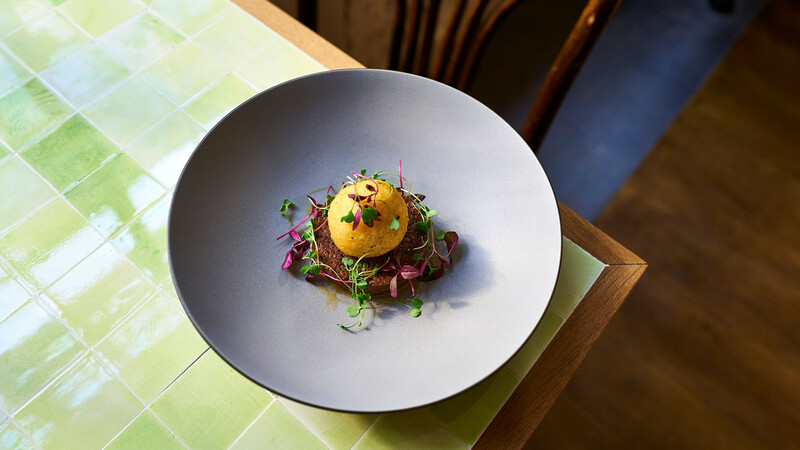 Çiğ kofte, a bed of indulgently rich, sumac-spiced tartare, topped with a runny egg yolk encased in crisp, deep-fried potato is a strong contender for one of the best things we've eaten this year. 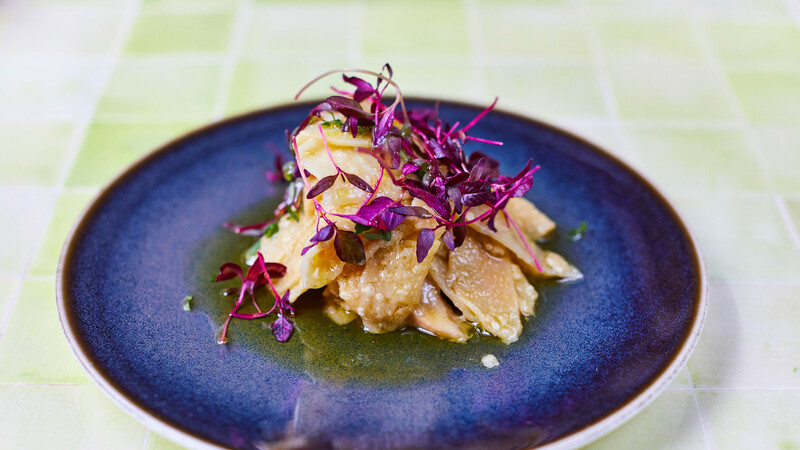 While pan-fried feta proves to be a drought-inducing drag on the palate contributed to by the absence of spicy honey – the key ingredient, apparently. It's a tiny bit hit and miss, sure. But when you get it good, you get it great. 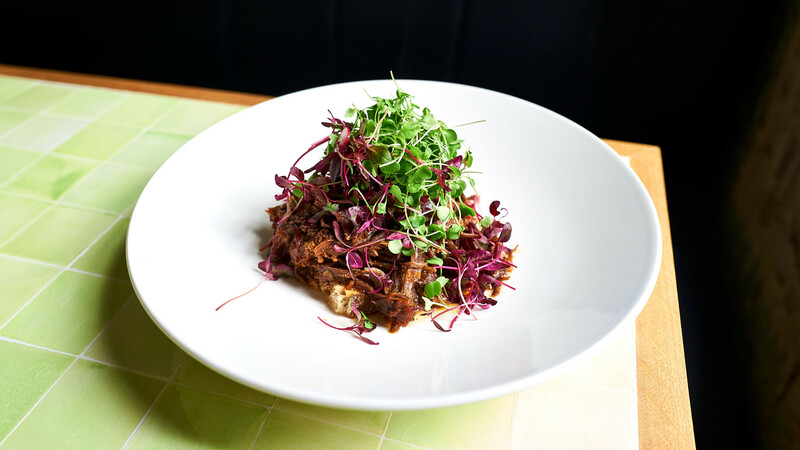 And from now on we'll be sure to always be dose our sourdough in meaty jus and heaps of slow-roasted beef rib, although perhaps not at the cost of £26 a piece.